The windows in your home are valuable features that will change the way you experience your living space. What do your home's windows look out on, and are you seeing it properly? Whether you are restoring house windows or updating them completely, Modernize is here to help you find replacement windows in Long Beach, CA. Our reliable contractors can help you fix any problems you're having with your home's windows. You can enjoy a more energy efficient home by upgrading, repairing, or restoring your windows today! Get free quotes from the best window replacement contractors in Long Beach, CA, ready to complete your project. Making home improvements is one of the most effective ways to invest in your home and maintain or increase the resale value of your home. Even though it is true that most high quality windows have a long lifespan, they will need to be replaced if their energy efficiency begins to decrease or they begin to let air or moisture enter your home. Homeowners living in Long Beach, California who are prepared to replace the windows in their home will need to make many decisions before purchasing windows. There are many operational styles to choose from and homeowners have the option to customize the glass, hardware, and color finishes as well. The location of your home should also play a role in your window purchase decision. The Long Beach Department of Development Services has specific building code and permit requirements for homeowners who would like to have their windows replaced. Homeowners should also consider how the windows they purchase will perform in the climate of Long Beach. According to ENERGY STAR®, Long Beach is located in the North-Central climate zone, a region of the country that requires both the use of heating and cooling depending on the time of the year. If you are a homeowner living in Long Beach, California, continue reading to learn more about the basics of window buying, window payment options and window installation requirements in Long Beach, as well as how the climate in Long Beach should influence the windows you purchase. Before making a purchase, it is important to gain an understanding of the basic information concerning the windows available. The first distinction to make is whether you will need new construction or replacement windows. Replacement windows are custom designed for an exact fit in the space left behind by the old window. Because of this, they are appropriate for projects where there will not be structural changes made to the surrounding wall. In comparison, new construction windows must be secured directly to the studs so they are only appropriate in situations where the frame of the home is exposed. Additionally, it is important to consider how you want the windows you buy to operate within your home. If you are looking for a functional and low-maintenance window, double hung windows are one of the most popular choices for residential buildings. Constructed from two, fully operational vertically hung sashes, these windows are energy efficient and easy to clean because of the tilt-in mechanism of both sashes. If you need a custom shaped window, picture windows, bay and bow windows, and arched windows all add architectural interest to the home while providing a maximized view of the outdoors. Lastly, if you prefer windows with a single sash, casement, hopper, and awning windows all have a single sash that opens outwards from the hinge to allow fresh air into the home. The last thing you will need to do is choose the basic design elements of your windows. Window frames are available in wood, vinyl, aluminum, or fiberglass. There are also many glass grid designs, hardware, and color finishes to choose from. Long Beach homeowners can only obtain permits for window replacements if they plan to perform the work themselves and if they will be replacing the windows in their primary place of residence. If you plan to hire a contractor to replace your windows, it is their responsibility to purchase the appropriate permits for the project, according to the Long Beach Department of Community Development. When hiring a contractor, it is important your hire someone who is properly licensed and insured. Long Beach contractors are required to obtain a general building license from the city if they wish to perform any major improvements on homes in the area. In addition to a general building license, they should carry workers’ compensation insurance that covers the cost of medical expenses and missed work if one of their employees is injured while working on your home. Unfortunately, at this time Long Beach does not offer any rebates or tax credit programs for upgrading to energy efficient windows. Homeowners can explore more conventional methods for paying for the replacement of their windows. The best way to pay for your new windows is by saving up and paying cash. If you do not have the means to pay for home improvements with cash, you can also use zero interest credits or a home equity line of credit. The price of windows varies greatly, but you can anticipate spending between $450 and $600 for vinyl windows and between $800 and $1000 for wood replacement windows. Approximately $50 to $100 should be added to the cost of each window to cover the cost of installation. 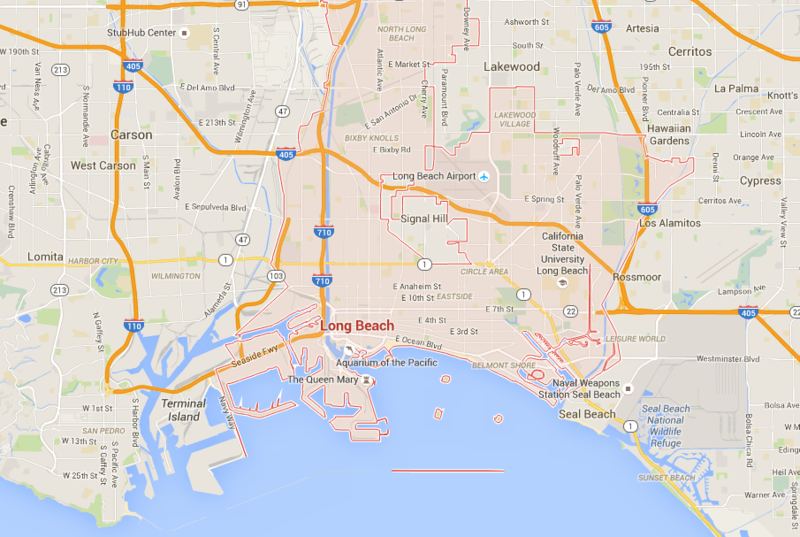 According to ENERGY STAR®, Long Beach is located in the north-central climate zone. Homes in this zone use both heating and cooling depending on the time of year. Long Beach is located on the coast. Homeowners can expect mild weather year round, with an average high of 84 degrees in August and an average low of 46 degrees in January. It is important to make sure the windows you buy will perform well in the climate of Long Beach. It is best to select energy efficient windows by reading the National Fenestration Rating Council (NFRC) labels that are placed on each window. The U-Factor, Solar Heat Gain Coefficient, Visible Transmittance, and Air Leakage ratings are present on the NFRC labels. The U-Factor rating represents the amount of heat allowed to pass through a window. A lower number indicates a window that allows very little heat to leave or enter the home, making the home more energy efficient and resistant to extreme temperature changes. In Long Beach, ENERGY STAR® requires homeowners to purchase a window with a U-Factor Rating of no more than 0.30. The second rating on the NFRC label is the Solar Heat Gain Coefficient. This number represents the amount of solar radiation that can pass through the window. Solar heat can warm the home during the winter but it can also overheat the home during the summer months. Since Long Beach has a fairly mild climate, ENERGY STAR® requires a rating of no more than 0.40. The last two ratings you will find on the NFRC label are the Visible Transmittance and Air Leakage ratings. The area of glass of the window and the view it provides is represented by the Visible Transmittance rating. ENERGY STAR® does not have any Visible Transmittance requirements, so this decision can be made based on your personal preference. The amount of air a window allows to pass through the window is represented by the Air Leakage rating and in Long Beach Energy Star® requires homeowners to purchase windows with an Air Leakage rating of no more than 0.30. In general, a window with high energy efficiency ratings will perform better, increasing the sustainability of your home by guarding against extreme temperature changes or air leaks. When you purchase windows that comply with ENERGY STAR® requirements, you can expect to improve the sustainability of your home. and save an average of $126 on heating and cooling costs per year.